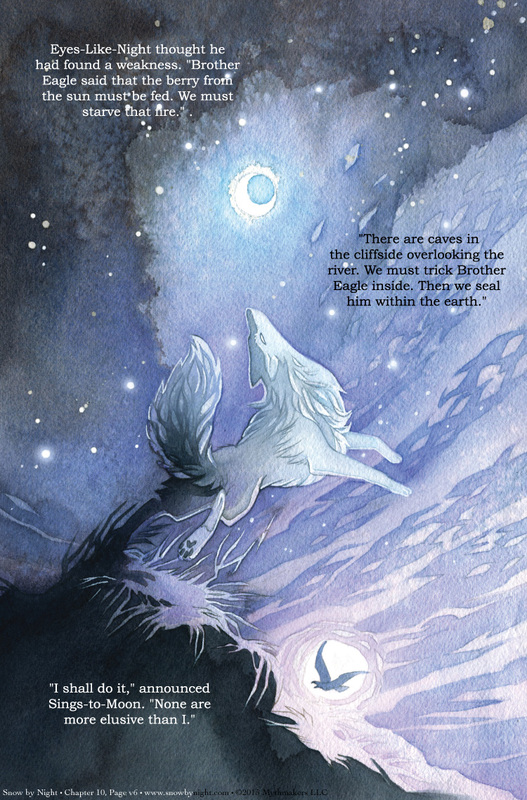 Sings-to-Moon, the wolf manitou, offers to lead the firebird into a trap on Page 6 of A Berry from the Sun. To see a preview of there unmerry chase, please vote for Snow by Night on Top Web Comics. Reverie Comics is hosting a couple of panels at AwesomeCon. The first is Artist Alley 101. If you ever wanted to sell as an artist at a convention, the Reverie members have tips for you. The second is Creative Collaborations, where we discussing working with other artists on a project. It’s trickier than you might think. The schedule for panels will be going up soon.